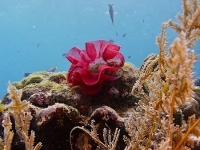 The largest nudibranch, bright red to orange body, sometimes with speckling or marbling. Margins are wide and rolled, sometimes with red, white or pink bands. 6 Separate gill branches on its back gives this animal its Latin name. Juveniles are pale with purple spots and blotches on the body and mantle. 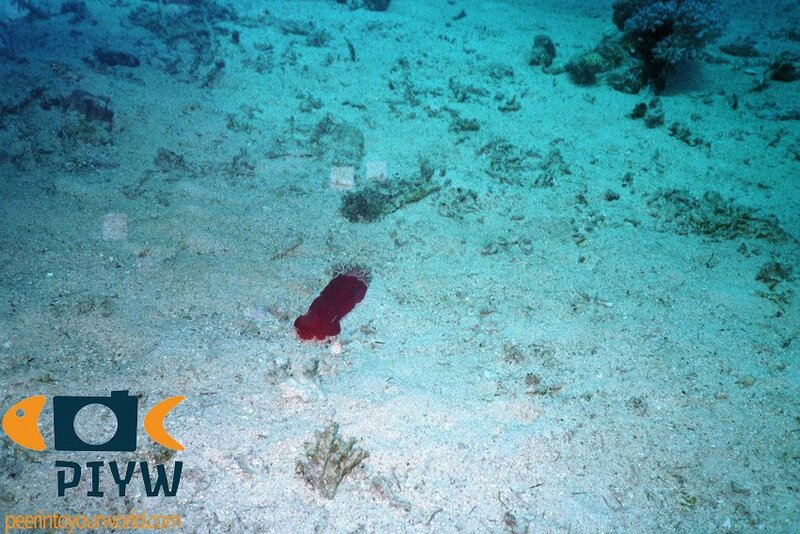 Spanish dancers are nocturnal (active at night), so will often be encountered at night dives. 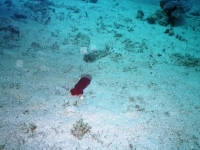 Unassessed by the IUCN Red list, but a common reef inhabitant in tropical water. From South Africa and the Red Sea to Hawaii and Papua New Guinea. They can be found on or near coral reefs (at night) from the intertidal zone to 5o meters depth. 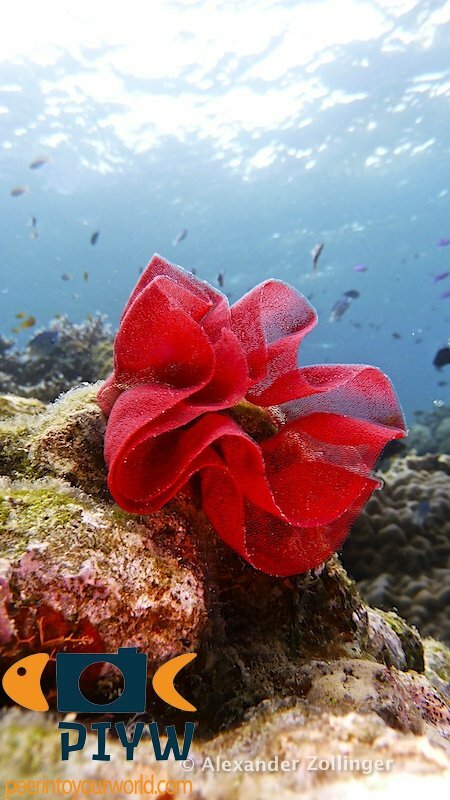 They lay eggs in a red, coiled ribbon attached to hard substrate. 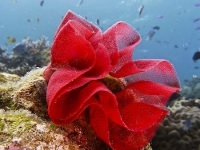 Spanish dancers feed on sponges, such as Halicondria sp. Spanish dancers have been given their common name due to the way they swim. They flex their body from one side to another to create a swimming motion. It very much resembles a red dress as seen on Spanish dancers. 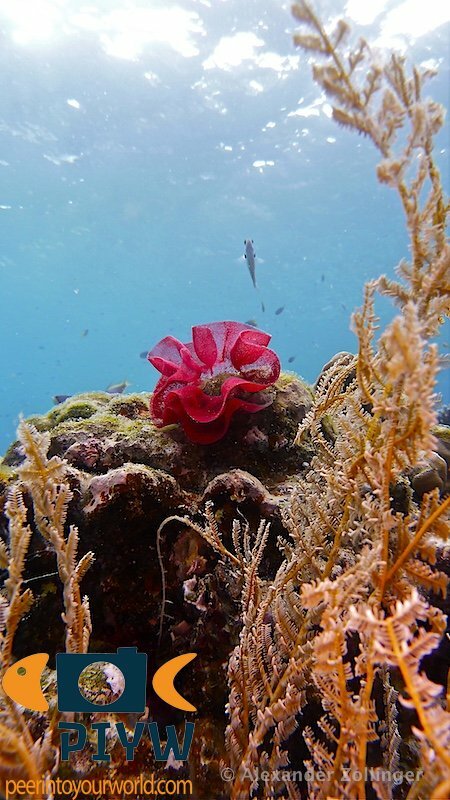 From the sponges the eat, they can distract a chemical used for a defense mechanism. When examined closely, you can often spot the commensal emperor shrimp, Periclimenes imperator, on the Spanish dancer.